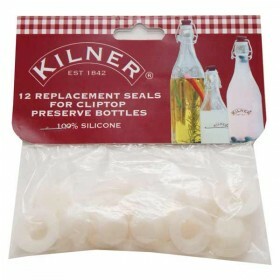 pack of 12 replacement seals for any of the Kilner branded swing top bottles. One size fits all. 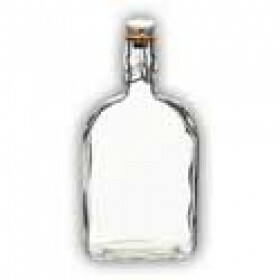 Th..
500ml glass swing top bottle ideal for sloe gin and other homemade liqueurs. 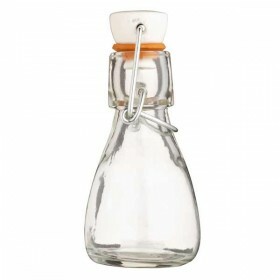 This bottle is in the ..
A gorgeous little glass swing top bottle complete with handle. This bottle stands 17 cm high and ho..
A very elegant shaped glass swing top bottle. 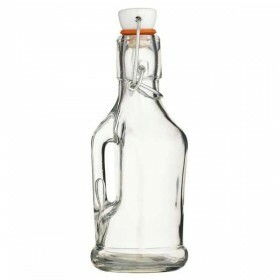 Stands 17cm high and holds 4.21ml.Ideal for cordials ..
A glass swing top bottle ideal for giving away your precious liqueurs as gifts. 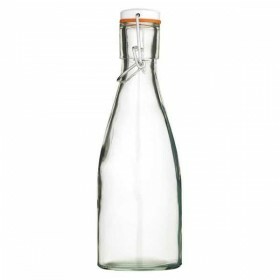 Stands 11.5cm high a..